At Cables For Charging, we offer a range of charging cables, adaptors and charging infrastructure. Electric Vehicles have two main charging types for connecting to public charging networks. These are either Type 1 or Type 2 connectors. 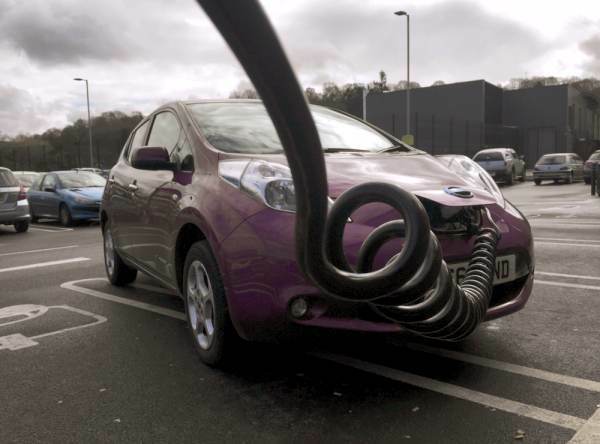 The EV market leader Nissan, and their best-selling all-electric LEAF use a Type 1 connector. The best-selling Plug In Hybrid, the Mitsubishi Outlander PHEV also uses a Type 1 connector. The European manufactures tend to use Type 2 connectors. 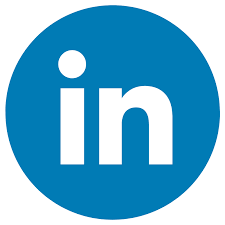 The all-electric BMW i3 and the VW e-Golf as well as the growing number of Plug In Hybrids from BMW, Mercedes, VW, Audi, Porsche and Volvo all have a Type 2 connector. Leading EV manufacture Tesla of the US also use a Type 2 connector on the Model S, Model X and the Model 3. 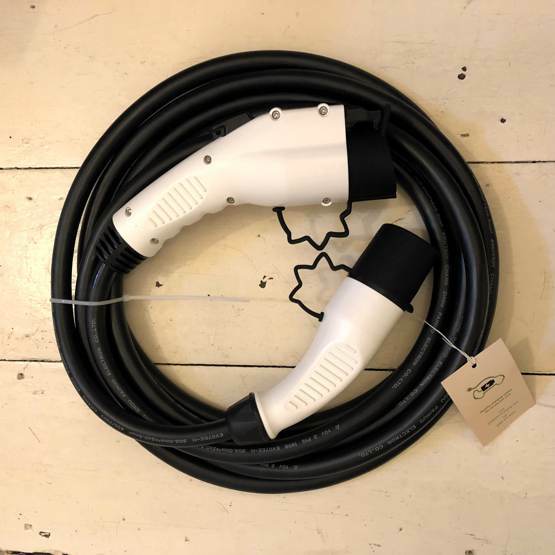 All the EV Charging Cables connect to a standard Type 2 charging outlet or public charging connection that you would find at a public charging station as a service station, supermarket or car park. A charging cable can either be a Type 2 to Type 1, for a Nissan Version 1 LEAF for example or Type 2 to Type 2 for a BMW i3 for example. Public charging are usually marked in the available power output of the socket. The most common power levels are 3.6Kw and 7.2Kw. These correspond to a 16 Amp or 32 Amp supply. An EV Charging cable rated at 32 Amp (shown on the right) is thicker and heavier than a comparable 16 Amp cable (shown on the left). 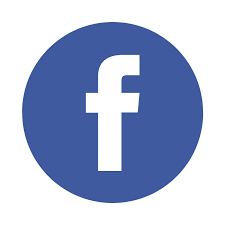 How long to charge from a Type 2 post? Type 2 or commonly refered to a Level 2 charging typically provides 10 – 25 miles of range per hour of charging. The time to charge depends on a number of factors: Type of car and the size of the on-board charger, the capacity of the battery you are charging and the available output of the charge post and the size of the of the EV charging cable. Let’s take a Nissan LEAF as an example. 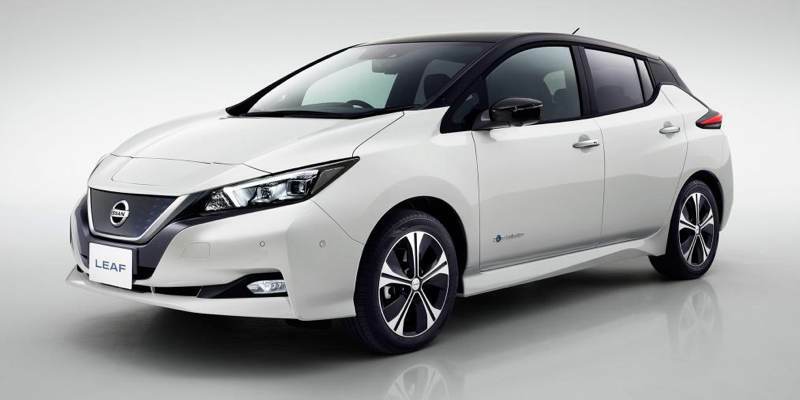 The standard first edition LEAF has an on-board charger capacity of 3.6Kw. 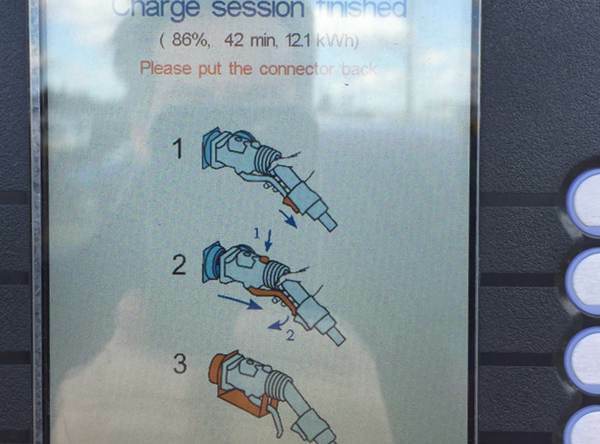 There was an option to upgrade to a 7.2 Kw charger but very few models were sold with this configuration. The current LEAF or V2 as we call is has a 6.6 Kw on board charger. With the standard 3.6 Kw on-board charger this will accept up to 16 Amp of current. So using a 32 Amp charging cable with a 7.2 Kw charge point will not increase the charging rate or reduce the time to charge. If the LEAF is at 50% capacity then the 24Kw battery will take roughly 3 1/2 hours to charge to full. (24Kw at 50% charge requires 12Kw of power to bring to full. With a 3.6 Kw charger this will take 12/3.6 or 3.33 hours. to fill with a 16 Amp Charging Cable). The latest LEAFs have a 6.6Kw on-board charger and a larger 40 Kw battery pack. These are quicker to charge with a 32 Amp cable and using a 7.2 Kw charge point. The 2018 LEAF uses a Type 2 connector in contract to the Type 1 found on the first generation LEAF. A standard UK domestic power supply is limited to 13 Amps. These are the regular house hold plugs. Due to the limited power available with these it can take a long time to charge an electric car. From empty, expect to wait 8 hours to fill a LEAF. Expect 2 -5 miles of range per hour of charging. 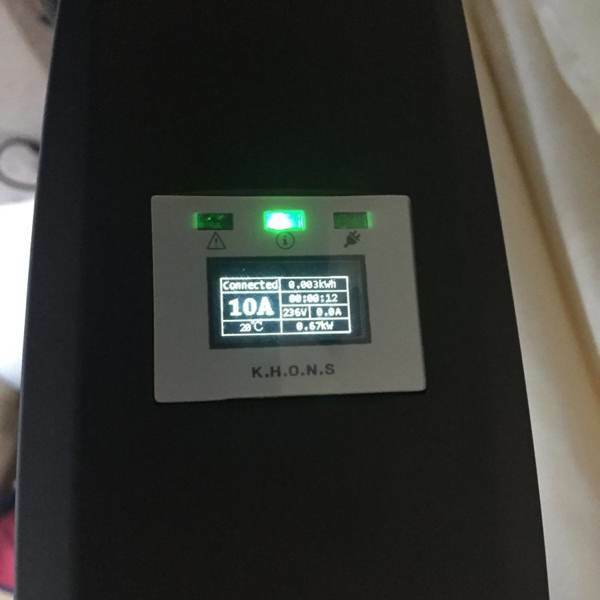 Level 1 UK home EV charger drawing 10 Amps. For most people this is a long time to wait and is inconvenient. It also requires having an external socket and off street parking. Most drivers use these as a last resort. 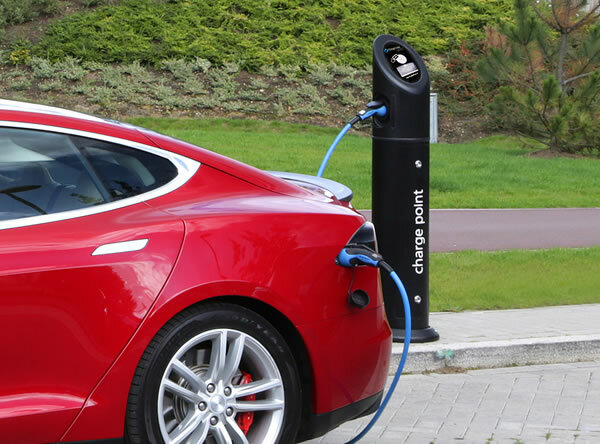 Virtually all Electric Cars are supplied with one of these home chargers as standard. 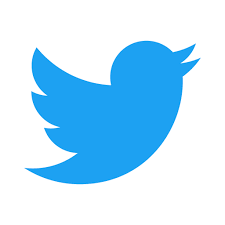 A great many never get used. It should really be an option when purchasing a new EV. Some refer to this charging as Level 3 charging. In this case, the charger is a petrol pump-sized device with the charging cable permanently attached to the ‘pump’. These are found usually on motor way service stations. Tesla has its own Supercharger Network for high-speed re-charging. Now with over 1.200 locations across Europe. See Tesla Supercharger Map. 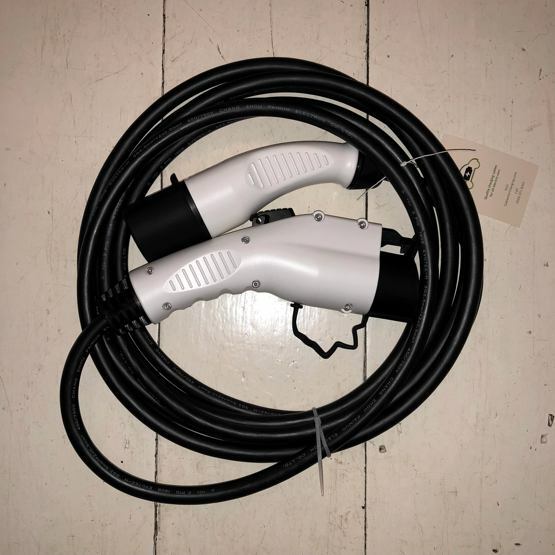 The universal DC fast charger have a CHAdeMO connection. On a LEAF this is the other connector under the charge flap. Expect a Fast charger to deliver about 80% charge in 30 minutes. For most EV drivers the DC fast chargers are only used when going on a long journey rather than every day driving. They do offer the ability to drive anywhere on the UK or European roads. 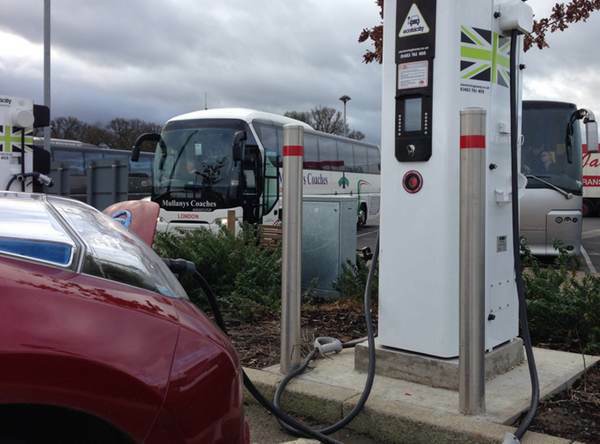 The DC Fast Charge Network does provide piece of mind and reassurance that you could if you wish drive from Aberdeen to London to Bristol with no problem. Our cables: To keep things as simple as possible, all of our cables are 5 meters in length. Our Type 2 – Type cables are available either in Black regular cables of a Green Coiled cables. The benefit of the coiled cable is that it stays of the ground between the charging point and the vehicle. This keeps the charging cable clean and out of grime on the ground. Keeping the cable clean mean that Green is good practicake colour choice. The regular Black cables will be on the ground in parts. They tend to pick up dirt and grime hence we stock these in Black only. We do offer cable storage bags, ideal for keeping your cable in when not in use. 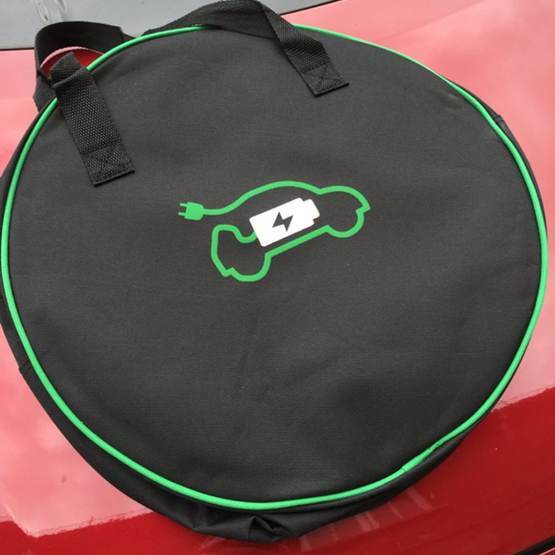 See EV Cable Bags. 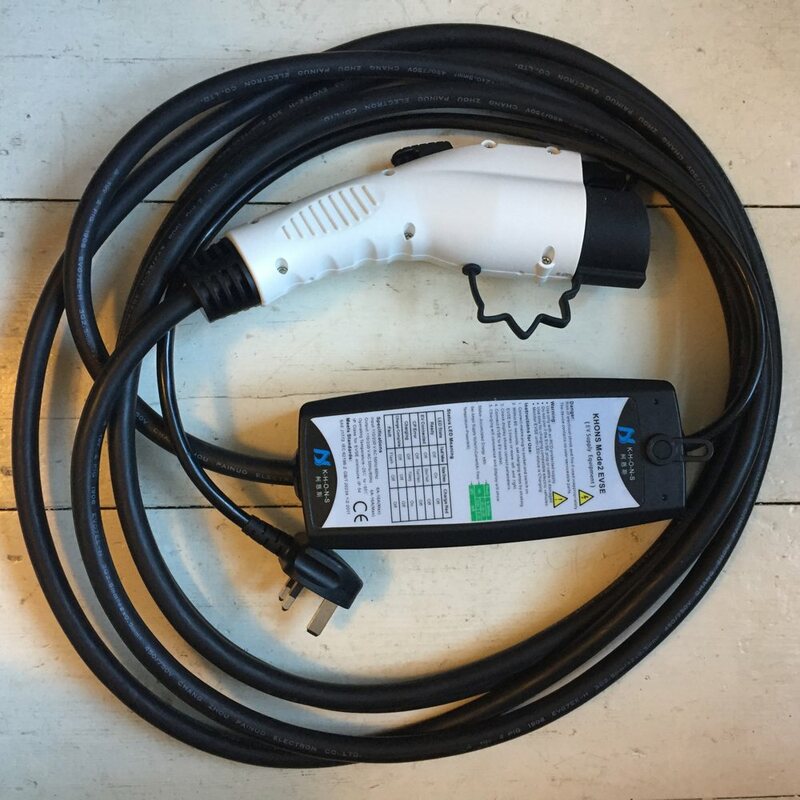 For questions or any more details on our electric car charging cables, contact us.